By buying this product you can collect up to 540 points. Your cart will total 540 points that can be converted into a voucher of £5.40. The Donatello Statue measures 17" tall, wielding his bo staff with a grimace on his face as he stands atop wreckage of one of the Technodrome's defense robots from Dimension X. Donatello also features his signature purple bandana and arm bands along with a belt and buckle with his initial. This dynamic statue captures the cartoony style of the iconic Teenage Mutant Ninja Turtles complete with a vibrant paint scheme and sculpted muscles that bring this hero in a half-shell to life! 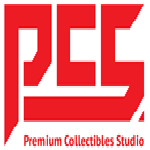 Bring some awesome turtle power to your collection with the Donatello Statue from PCS Collectibles today! MORE TEENAGE MUTANT NINJA TURTLES STATUES AND FIGURES. Featuring meticulously crafted clothing and accessories from the film and an incredibly life-like portrait sculpted by Macaluso himself, this statue stands almost 3 feet tall and is incredibly limited to 400 pieces, demanding to be the centerpiece of any Rambo fans collection. Ibuki burst onto the scene in the Street Fighter III: New Generation game. Her lightning fast attacks and colorful personality made her an instant favorite in the fighting game community.Size: 66 x 52 x 29 cmThe PCS Exclusive version also contains:- Swap out unmasked portrait- Swap out arms without KunaiLimited to 250 pieces worldwide! Sideshow and PCS are proud to present the Alice Cooper Sixth Scale Figure, the macabre master of heavy metal!